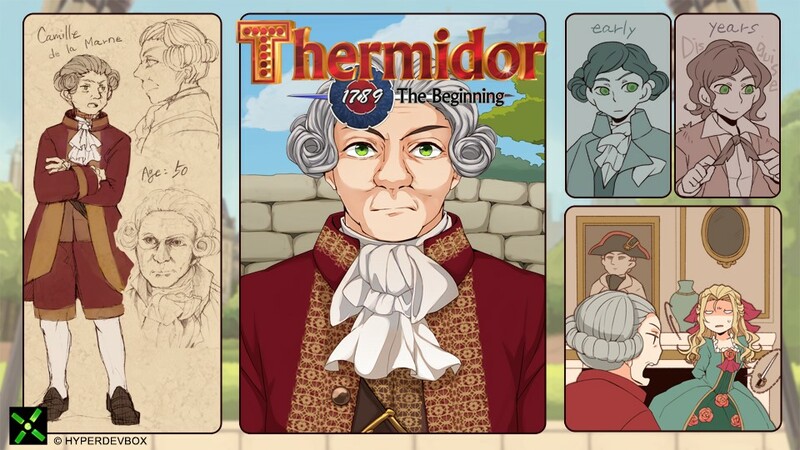 Thermidor – Here is another main characters – Armandine’s father, Camille de la Marne! Here is another one of Thermidor’s main characters – Armandine’s father, Camille de la Marne. A noble French aristocrat, and a staunch traditionalist. He is a highly influential noble in Paris. His most notable contribution is his alliance with Abbot Gregoire Ouvirard who is the head of a local monastery. When his daughter begins to show affections to a commoner named Leandre, he goes through a lot of trouble to keep them separated. Although he seems to be cruel on the outside, not one of his schemes includes killing the boy. And now for our #dailyquiz ! During one of his business trips around the country, Camille stopped over to buy a beautiful sword that soon became his favorite. Can you tell us where he bought it? https://hyperdevbox.com/wp-content/uploads/2016/09/1789T_EN_640x240.png 240 640 hdxeditor http://hyperdevbox.com/wp-content/uploads/2014/10/HDXLogo_340x156.png hdxeditor2016-10-21 16:10:282016-10-21 16:10:28Thermidor - Here is another main characters - Armandine's father, Camille de la Marne!